The perfect blend of pumpkin and spice with a liberal helping of warm, gooey chocolate chips – all ready in less than five minutes! I am a self-confessed pumpkin addict. I admit it – I’m one of those annoying people who thinks pumpkin spice should begin the end of August. Now, I know that Fall doesn’t officially begin until the middle of September, but where I live in Montana, the mornings are already chilly and the fall temperatures are beginning to set in. While the rest of you enjoy the changing colors that will begin soon, I’ll just be content with cooler temperatures. Since western Montana is mostly evergreen trees, we don’t see a lot of color, thought the Tamarack does turn a beautiful yellow! 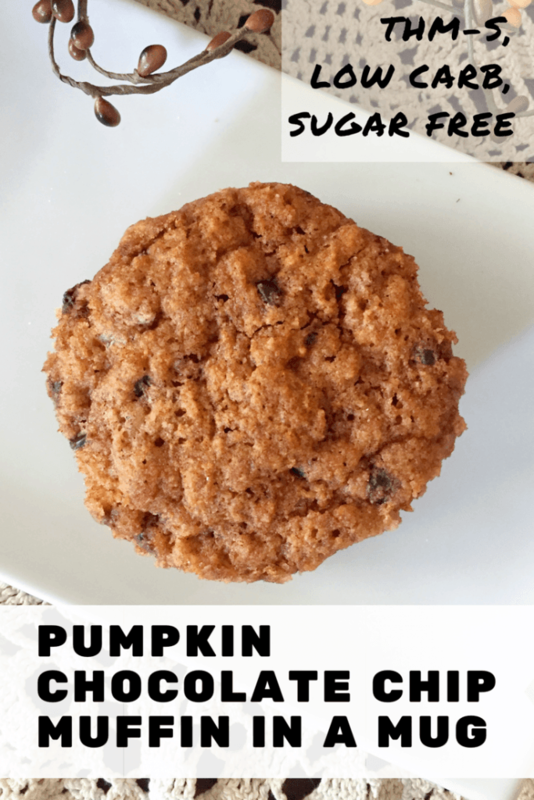 But I digress – the purpose of this post is to share my Pumpkin Chocolate Chip Muffin in a Mug recipe. 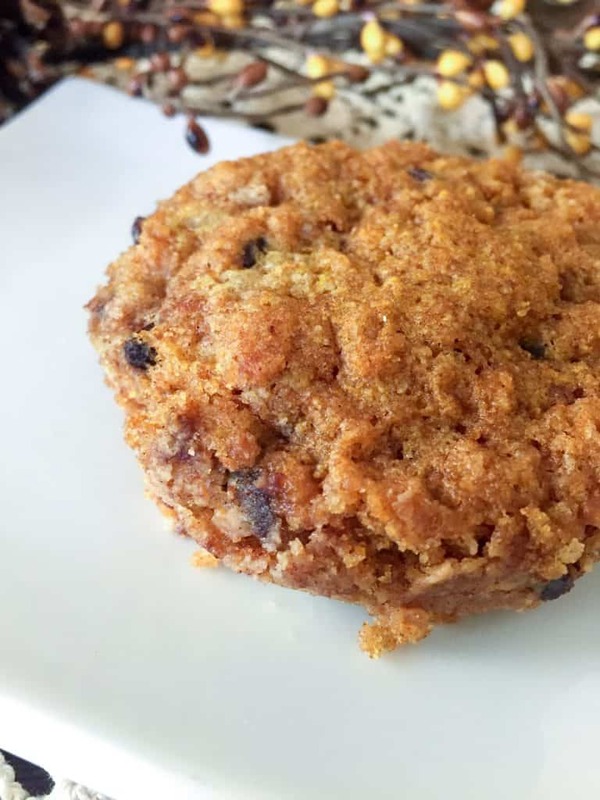 A warm, moist, muffin filled with pumpkin flavor and a generous helping of chocolate chips. What more could you want? Cream Cheese Frosting? Ok, you got it! This cooks in the microwave in just over one minute, so it is super easy and quick. I love to eat this for breakfast with a cup of collagen coffee. Perfection! I have added an option in the recipe card for using THM Baking Blend in place of the almond flour. Enjoy! In a large microwaveable mug or ramekin, mix all muffin ingredients together. Microwave on high for 1 minute 10 seconds. Combine cream cheese, Gentle Sweet, and unsweetened almond milk and mix well. Frost the top of your muffin and enjoy! My microwave is a 1100 watt - your microwave cooking time may vary according to wattage. I usually eat this muffin without frosting, but the frosting is a nice touch! 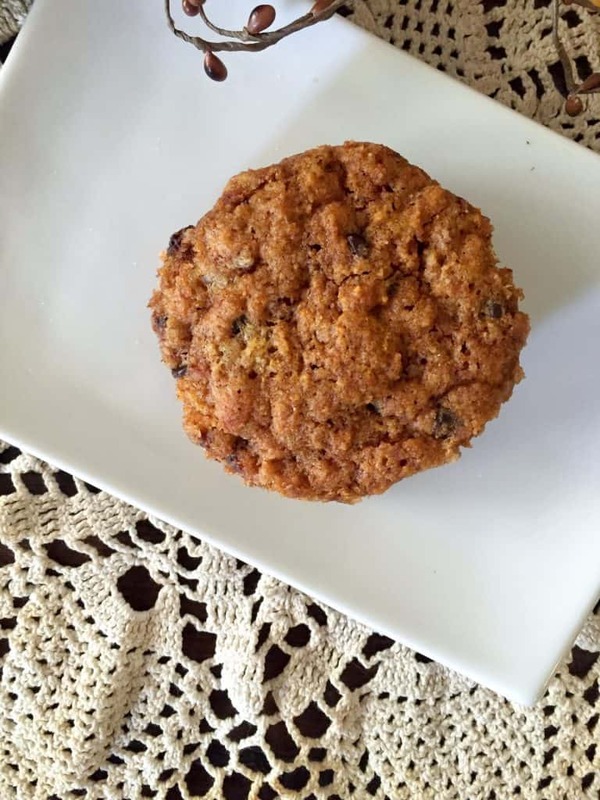 If you want to use Trim Healthy Mama Baking Blend in place of the almond flour, use 3 Tablespoons of Baking Blend, use the whole egg instead of just the yolk, and use 2 Tablespoons of pumpkin instead of 1. I love quick treats with pumpkin involved! Brilliant ? I’m counting down the days to Fall. It’s still hot here in Southern California with temps in the high 90’s and 100’s, but I am ready for pumpkin and cranberry creations. I could eat those cozy flavors forever! Thanks so much for this easy, yummy recipe. Ooo… that bite covered in frosting? Get in my belly! Can you please, please make this a multi-serving in the oven? I know I can’t just x6 it. I would love to have extra. I’ve been doing THM since 2014 and this is possibly my favorite dessert yet! I will probably be working on a multi-serve oven recipe. I would love to have them on hand as well. I’m so glad you enjoyed it! Great! 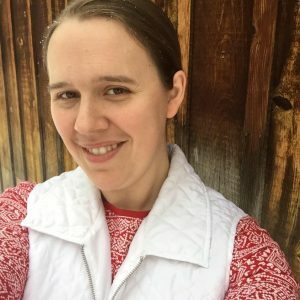 Subscribing to the blog! Everything looks so good! 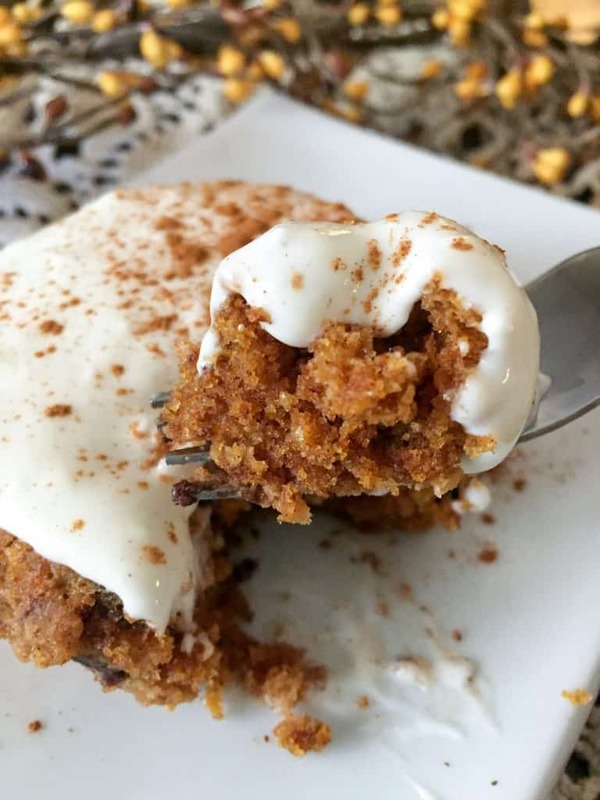 Could you tell me the net carbs with and without the frosting? Ty so much! Glad to hear you will probably work on a multi-serve oven recipe, as I would like that, too. Meanwhile, though, any recommendations for baking the single serve in an oven instead of a microwave? can the xylitol be subbed for pyure? 1 for 1? thanks. I am ready to dive into some fall flavours. Pumpkin, yes please! I just tripled the recipe and baked them in the oven for breakfast. Delicious! The only thing I didn’t triple was the baking powder. What did you bake them in, and at what temperature, and for how long? Did you add more baking powder than the single serve recipe called for? Thank you. Have you tried using the whole egg instead of just the yolk? I have tried that, and it seemed to me that it made it too wet. I just made one this morning using a small whole egg. It turned out great! You probably could, but should probably add a bit more liquid. The Baking blend contains coconut flour and oat fiber, both of which are much more “thirsty” than almond flour. Pumpkin aannnnndddd chocolate chip?!?! Now that’s a delicious combo if I’ve ever heard, seen, or died to eat one! Great job at creating and making this, it’s making me oh so hungry! 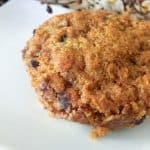 Have you made a larger recipe yet for multiple muffins and where can I find it? Yes – here is the link! Enjoy! Great! Our family adores PCC and that is all I ever make anymore LOL. I did wonder how your original mug version came out with such a nice crust and texture per photo…was it baked? Mine was kinda gummy so I’m baking it now in toaster oven to compare. No, it was in the microwave. I cooked it for 1 minute, 10 seconds. This was delicious! Just wanted to share that I made it with a version of baking blend (homemade…I forget who’s mix it is!) and just used the whole egg since baking blends are usually “more thirsty”. I doubled it and it turned out great and totally hit the spot! Thank you! I’m sorry, but in the Trim Healthy Mama way of eating, I do not count calories. However, I’m sure you could add the ingredients into a calorie calculator to find the count. What’s the conversion for Xylitol to Stevia powder? Could I use that instead? There are no yummy, gooey, thankful words for how I feel about this recipe…and you…and even me, for making it! I live fulltime in a motorhome, so I have a little microwave – 800 watts. I got lazy so I dumped the whole egg in, and I didn’t have Xylitol, so I subbed 1:1 with Pyure. Oh, and I had about 8 more chips than a tablespoon, so I just dumped all those in there too, lol! Then I nuked it for 90 seconds. Oh. Em. Gee!! It came out a little damp on top in the middle (probably that blasted egg white I left in,) but by the time I made the frosting (don’t microwave a teaspoon of cream cheese for 20 seconds to ‘soften’ it)…it was just perfect, so I dumped the frosting on, grabbed me a collagen tea and proceeded to be amazed. There is no way this is “healthy” food!! I’m with everyone else. This is my new favorite. Not only is it WAY delish…it’s fast and easy to make! Thank you SO SO much for this recipe! Awesome! I’m so glad you let me know that you liked it!! I’m sorry, but I do not usually count macros while following THM. I hope to have a nutritional calculator on my site soon, though! Just made this, loved it. The cream cheese “frosting” makes this super decadent. Thanks for the recipe! Well what do you know, someone already did all the work for me. Im not sure how I missed the notes about using the THM baking blend, but I did, so thanks to whomever tried it out and wrote it down. I love this recipe!!! I absolutely love this recipe and purchased a set of mini glassware containers so I can make 8 individual servings of the dry ingredients and each morning I melt my coconut oil, add in my beaten egg and pumpkin then dump in a container of made ahead dry ingredients – so quick and easy and such a wonderful breakfast. Hard to believe they are on plan they taste so good. This is purely amazing! And the cream cheese frosting puts it way over the top of the awesomeness scale! I did the subs as written for using the thm baking blend, used pyure as suggested, and chopped up 85% choc bar from Aldi’s. Breakfast with trimquik heated as hot chocolate with collagen for extra protien. New fave fall breakfast!!!!!!! SO GOOD! This is the best muffin in a mug I’ve had! I love that it’s not gooey!